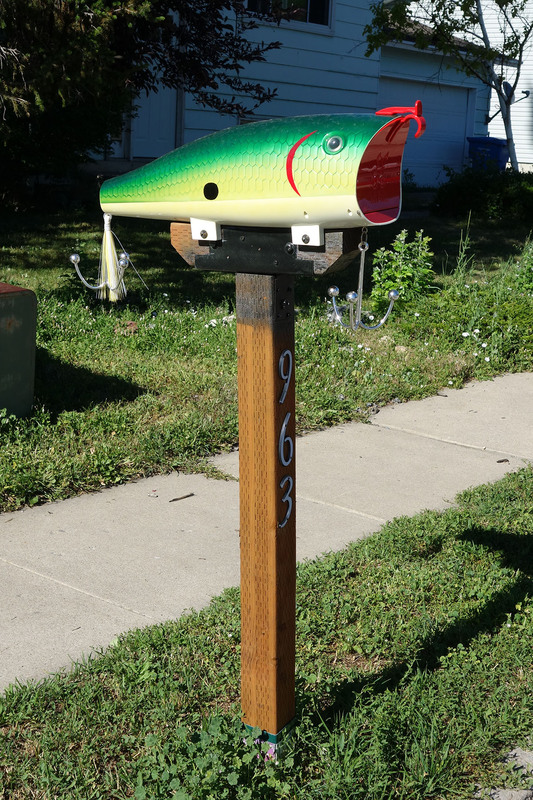 I saw this mailbox the other day and it immediately reminded me of an awesome scene from the fantastic humorous novel, Three Men in a Boat, written in 1889 by Jerome K. Jerome. George and I … went for a walk to Wallingford on the second evening, and, coming home, we called in at a little riverside inn, for a rest, and other things. We went into the parlour and sat down. There was an old fellow there, smoking a long clay pipe, and we naturally began chatting. He told us that it had been a fine day today and we told him that it had been a fine day yesterday, and then we all told each other that we thought it would be a fine day tomorrow; and George said the crops seemed to be coming up nicely. After that it came out, somehow or other, that we were strangers in the neighborhood, and that we were going away the next morning. Then a pause ensued in the conversation, during which our eyes wandered round the room. They finally rested upon a dusty old glass-case, fixed very high up above the chimney piece, and containing a trout. It rather fascinated me, that trout; it was such a monstrous fish. In fact, at first glance, I thought it was a cod. “Quite uncommon,” I murmured; and George asked the old man how much he thought it weighed. And out he went, and left us alone. We could not take our eyes off the fish after that. It really was a remarkably fine fish. 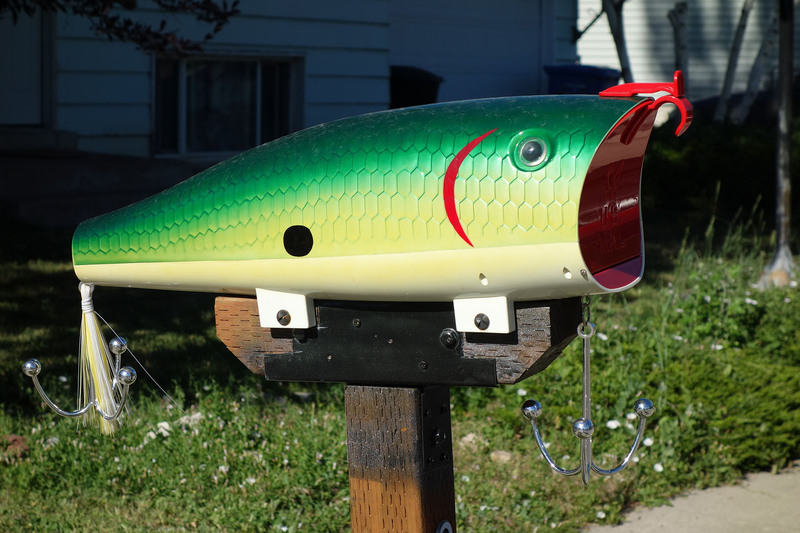 We were still looking at it, when the local carrier, who had just stopped at the inn, came to the door of the room with a pot of beer in his hand, and he also looked at the fish. “Good-sized trout, that,” said George, turning round to him. “No,” we told him. We were strangers in the neighbourhood. “Oh! Was it you who caught it, then?” said I. Five minutes afterwards a third man came in, and described how he had caught it early one morning, with bleak; and then he left, and a stolid, solemn-looking, middle-aged individual came in, and sat down over by the window. “Why, who told you I caught that trout!” was the surprised query. We said that nobody had told us so, but somehow or other we felt instinctively that it was he who had done it. And then he went on, and told us how it had taken him half an hour to land it, and how it had broken his rod. He said that he had weighed it carefully when he reached home, and it had turned the scale at thirty-four pounds. He went in his turn, and when he was gone, the landlord came in to us. We told him the various histories we had heard about his trout, and he was immensely amused, and we all laughed very heartily. And then he told us the real history of the fish. It seemed that he had caught it himself, years ago, when he was quite a lad; not by any art or skill, but by that unaccountable luck that appears to always wait upon a boy when he plays the wag from school, and goes out fishing on a sunny afternoon, with a bit of string tied on to the end of a tree. He said that bringing home that trout had saved him from a whacking, and that even his schoolmaster had said it was worth the rule-of-three and practice put together. He was called out of the room at this point, and George and I turned our gaze upon the fish. It really was the most astonishing trout. The more we looked at it, the more we marvelled at it. It excited George so much that he climbed up on the back of a chair to get a better view of it. And then the chair slipped, and George clutched wildly at the trout-case to save himself, and down it came with a crash, George and the chair on top of it. “You haven’t injured the fish, have you?” I cried in alarm, rushing up. “I hope not,” said George, rising cautiously and looking about. But he had. That trout lay shattered into a thousand fragments—I say a thousand, but it may have only been nine hundred. I did not count them. We thought it strange and unaccountable that a stuffed trout should break up into little pieces like that. And so it would have been strange and unaccountable, if it had been a stuffed trout, but it was not. That trout was plaster of Paris. 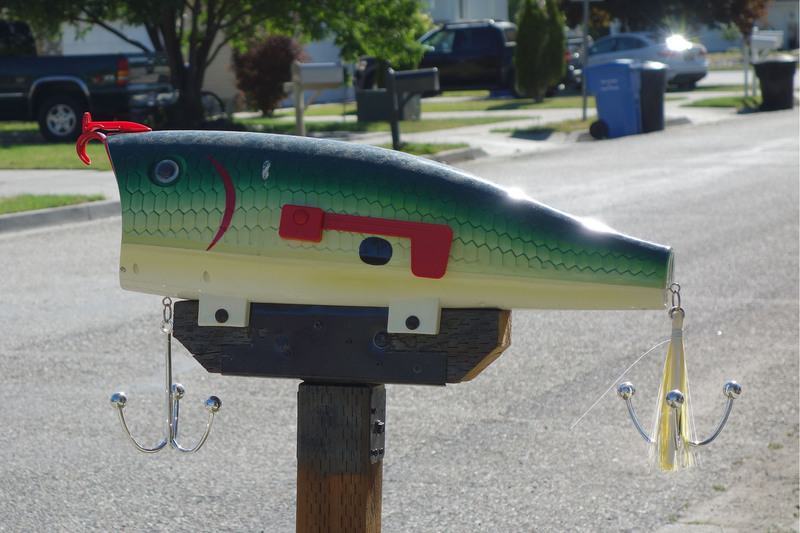 This entry was posted in Life!, Quotations and tagged fish mailbox, fish story, Jerome K. Jerome, three men in a boat, unusual mailbox by tarvasalutes. Bookmark the permalink.